Last year, we gave a guitar to the Native American Music Fund, which went to Kauy. Remember him? Well, Kauy took his guitar and started a band with his buddies called Laika, who performed for us on the first night of our visit to Window Rock, playing tons of Arctic Monkeys and Car Seat Headrest so we know where their music inspiration comes from (and we approve). So many great Native American Music Fund students played for us n our first night, thanks to Mechelle who hosted a party and keeps the Native American Music Fund going with regular workshops. Plus, we ate lots of Navajo Tacos. Check out some of the highlights! An eagle dance from Troy & Izzie! Thank you to ALL of the NAMF students for working so hard to prepare these performances for us, and to Mechelle for hosting! We were so inspired, that we want to help them continue to build their band and keep playing music with more instruments... and maybe recording equipment. If you want to help, donate! Special shout out to Randall and Michelle Hoskie for showing us around all weekend. Check out Coal Mine Canyon! After our reservation trip to Window Rock and Navajo Nation, we spent some time in Santa Fe. 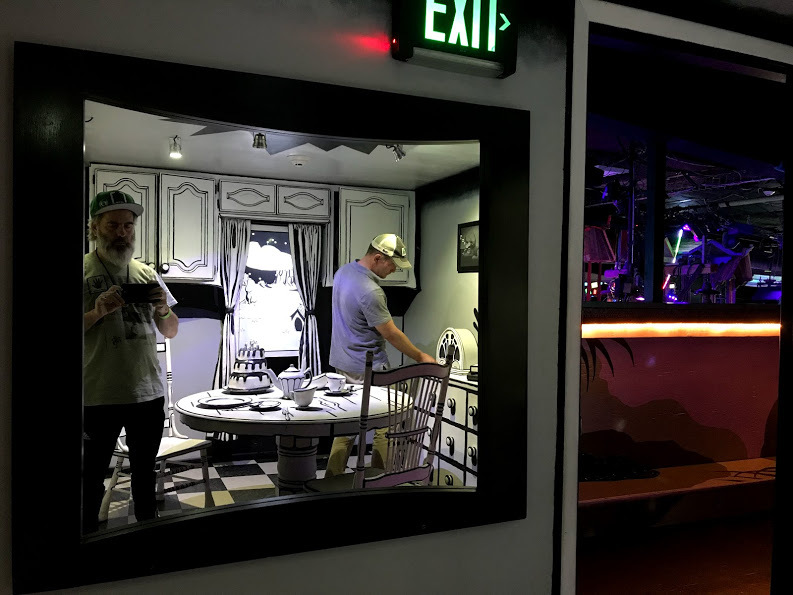 Next time you're there, visit Meow Wolf. Trust us. Thank you for your continued support in helping us make music happen! Want to help out? Donate or contact us today!